Tada was at Proclaim 19, the NRB International Christian Media Convention in Anaheim, California, when she was rushed to the ER at 3:30 a.m. on March 27. Tada was scheduled to lead a hymn sing during the Convention’s Worship Service the following evening. “I could barely draw a breath and had chest pain,” she recalled in her blog Wednesday. 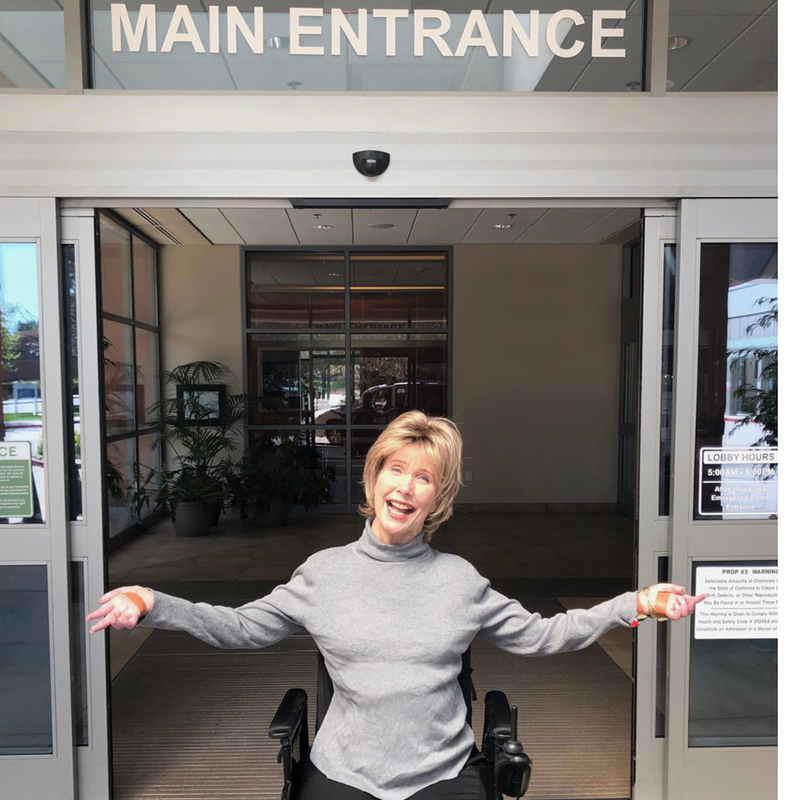 “Basically, over the many years, my chronic quadriplegia has put a strain on my heart and lungs,” added Tada, who had just completed a series of radiation treatments for a recurrence of cancer. According to Tada, her doctors don’t believe the radiation treatments were the cause of her condition. They have also said that they believe that with medication and with a more efficient way of breathing, her condition can be reversed. “The preliminary diagnosis was at first gloomy, but over time the assessment was much brighter,” she reported. Through it all, including a battle with pneumonia, Tada has been thankful for all of the prayers lifted up on her behalf. “I am now resting on the residual intercessions still reverberating before God’s Throne,” she exclaimed. “Many, many blessings (and a special blessing on all you who sent texts and emails, notes, and posted on Facebook… I appreciated every encouragement)!” she concluded.